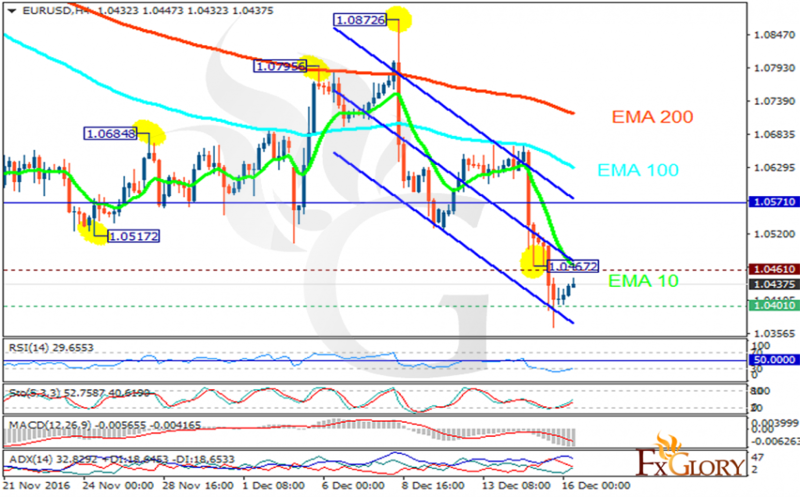 EUR was empowered due to the Eurozone Manufacturing PMI release. The support rests at 1.04010 with resistance at 1.04610 which both lines are below the weekly pivot point at 1.05710. The EMA of 10 is moving with bearish bias and it is below the EMA of 100 and 200. The RSI is moving in oversold area, the Stochastic is moving in low ranges while showing upward momentum and the MACD indicator is in negative territory. The ADX is not showing any clear signal. The pair is creating the recovery pattern heading towards the resistance zone therefore long positions would be recommended.